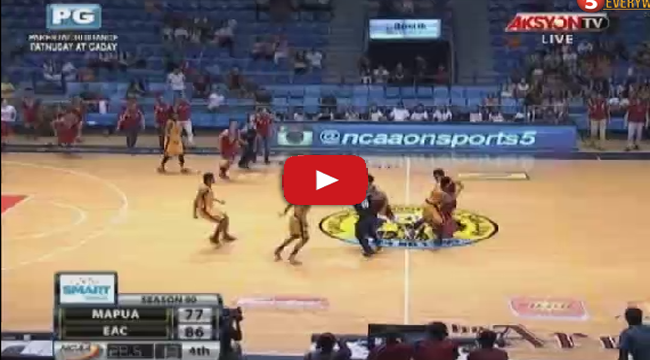 Watch video replay of brawl between EAC and Mapua on NCAA Season 90 happend last Monday, September 22, 2014 at The Arena in San Juan. A punch by John Tayongtong of EAC to CJ Isit of Mapua in few last few seconds of the game which triggered a brawl between to groups which saw all but one player from each side getting sanctions. The result of game makes Emilio Aguinaldo College’s victory over Mapua Cardinals in NCAA Season 90 Monday. The NCAA is expected to give penalties to players and coaches who were involved in the brawl incident. Updates about this Brawl Between EAC and Mapua on NCAA Season 90 will be posted on our future blog post.